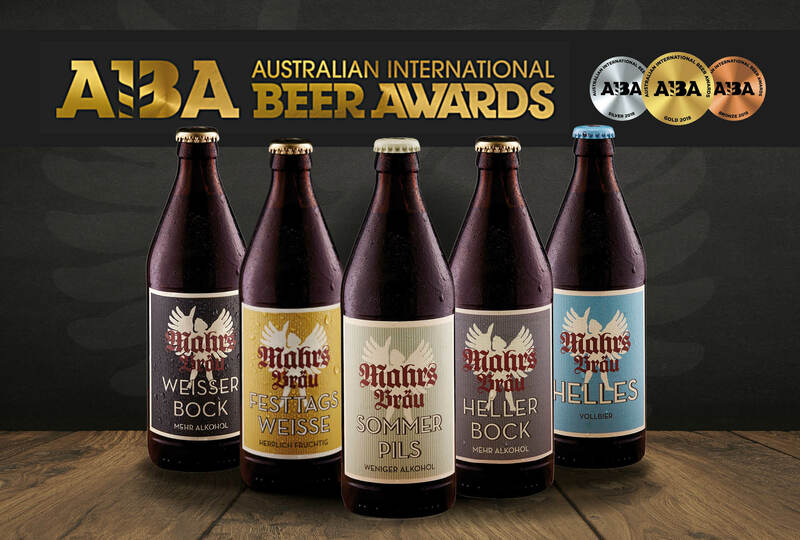 The success of our Wunderburger cult brewery has now been chiseled into gold, silver and bronze in Australia! The Australian International Beer Awards is the largest annual beer competition in the world. Each year, a renowned jury, consisting of Australian industry experts and international specialists, selects the best of their variety from more than 1,700 beers from 320 breweries in 36 countries. And Mahr’s Bräu was among the best; winning Bronze for Mahr’s Bräu “Helles”, Silver for their “Heller Bock” and “Festtagsweisse”, and Gold for the “Sommerpils” and “Weisser Bock”. Isn’t this fantastic news from the 26th Australian International Beer Awards in Peninsula, Australia?